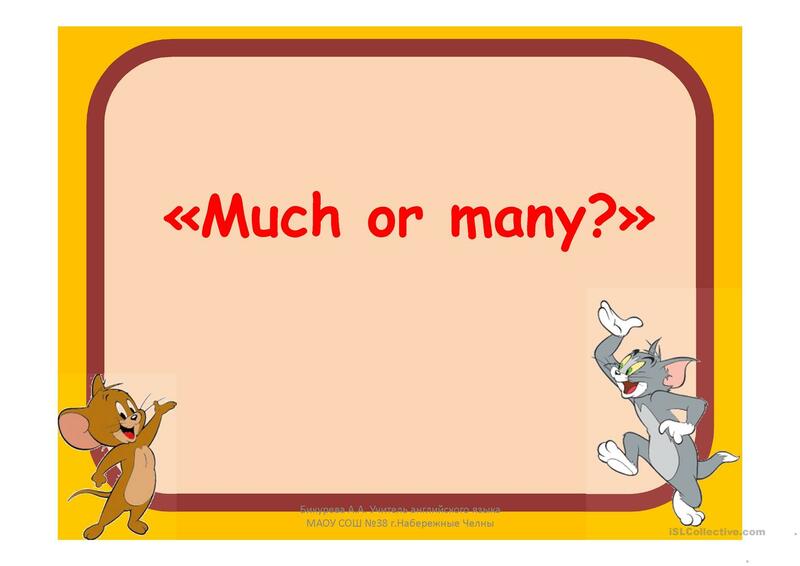 Pupils should choose the correct variant much or many. 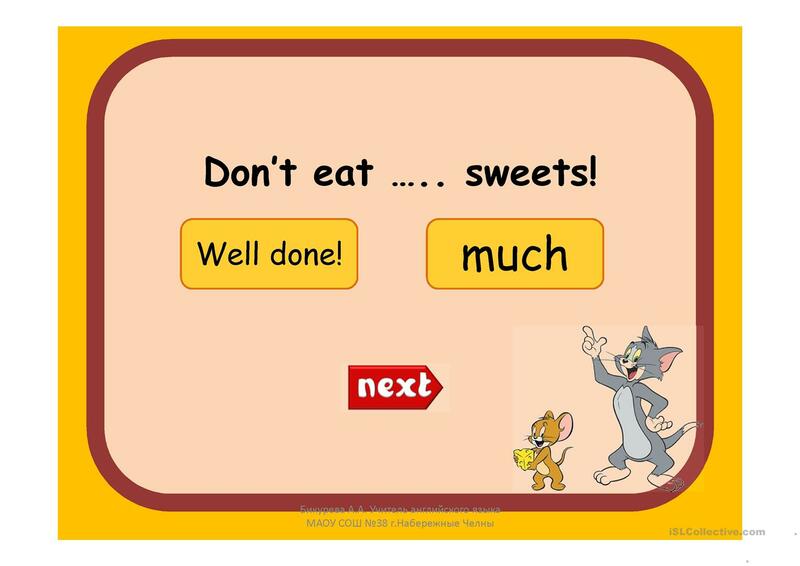 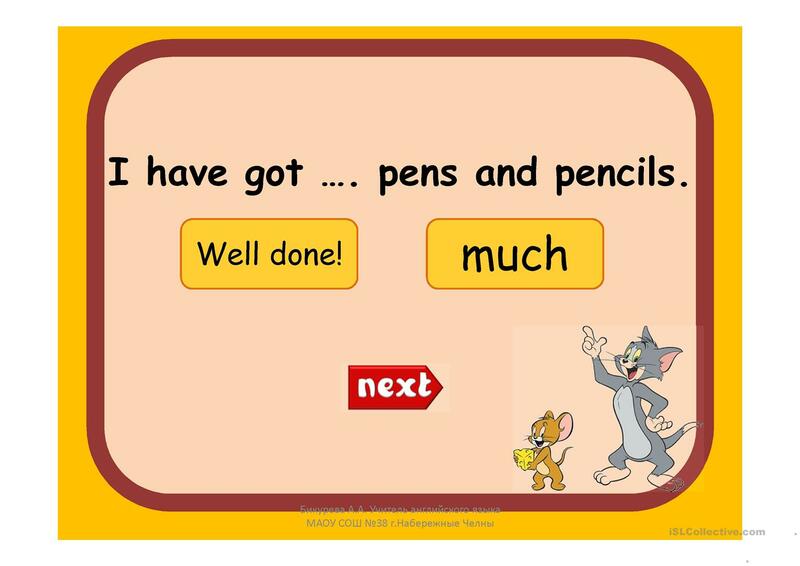 The task is read the sentence and choose much or many.I hope you enjoyed this ppt and have fun with your children. 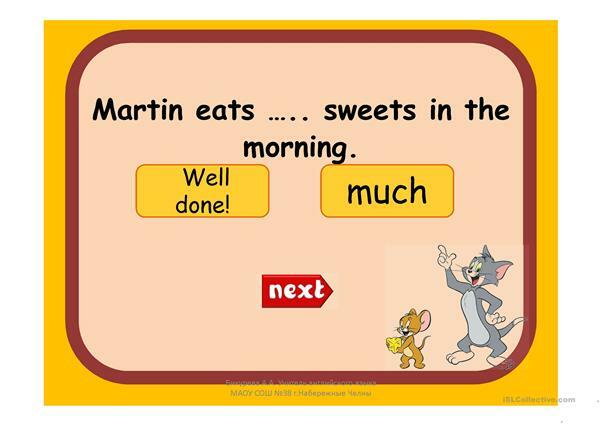 The above downloadable printable was created for elementary school students at Elementary (A1) level. It is a useful material for practising MUCH or MANY in English, and is excellent for working on your students' Speaking skills.